US-based poker players enthused by the prospect of a formally approved return by PokerStars to the fledgling United States online poker market, following the purchase of Stars’ parent company by Canada-based Amaya Gaming, may be wondering how smoothly a New Jersey PokerStars approval as a service provider may occur. After recent and very public attacks on PokerStars in state newspapers by two prominent New Jersey politicians, it’s fair to ask if the core question isn’t still “if” rather than “when”. To recap recent developments, early indications were that the approval of Stars in New Jersey as a service provider might come quickly following the company’s sale to Amaya earlier this summer. The sale resulted in the removal of potential former “bad actors” among the old PokerStars ownership and an almost immediate reactivation of Stars’ previously suspended application for New Jersey Division of Gaming Enforcement (DGE) approval. While the DGE has given at least tacit signals that PokerStars is on course within the state’s approval process, it is likely that rival casinos still consider the possible arrival of the international online giant as a serious threat — one that should be stopped at all costs. Two New Jersey state assemblymen who have been among the state’s pro-casino legislators have now published prominent attacks against the possible New Jersey PokerStars approval in large state media outlets. To allow Amaya, which may be a legitimate company, to simply purchase assets and people that are the fruits of the poisonous tree — an enterprise that drew indictments from federal law enforcement while profiting handsomely — and let them operate in New Jersey would be an insult to everyone who has gone under scrutiny to work or do business in the casino industry over the past 30 years. There’s too much at stake to act hastily and without the necessary due diligence to ensure that a bad actor is not given free rein in New Jersey and that all players seeking the privilege to do business in this state understand that dubious business dealings will not be tolerated. Interestingly, the Caputo piece also referenced an earlier Star-Ledger editorial also protesting the possible entry of PokerStars into the state. That editorial was written by Carl Zeitz, a one-time member of the state’s New Jersey Casino Control Commission, a quarter century ago, who now consults for the anti-online gaming, Sheldon Adelson-funded Coalition to Stop Internet Gambling. Zeitz’s editorial also vilified the Stars purchase on the grounds that the state’s regulations require a less-stringent approvals process for service providers (the category that would include Stars), rather than the gaming sites and companies themselves. That is why I was so disturbed to hear that the state Division of Gaming Enforcement is in talks once again with the controversial online gambling giant, PokerStars. PokerStars is a well-known bad actor in the online casino industry. Last year, regulators denied PokerStars a license to do business with Atlantic City casinos. But now PokerStars is making another bid to take advantage of the market while online gaming revenues are lagging. PokerStars was recently purchased by Amaya Gaming Group, a Canadian online gambling company, which has reapplied for a vendor’s license. A decision is expected any day. The Division of Gaming Enforcement will make that decision without even a public hearing or virtually any transparency to the process. “Well-known bad actor”? That’s quite the assumptive statement, given that the Stars settlement referred to included no admission of guilt. It’s also untrue that the first PokerStars application was denied; it was instead suspended for two years, following immense and unprecedented pressure being placed on the New Jersey DGE by the American Gaming Association and several existing New Jersey casino companies, including Caesars. The headline’s a bit farcical as well — Atlantic City casino fortunes are in the crapper regardless of whether or not Stars is allowed entry into that state’s online-gambling market. It’s actually an open question as to whether the possible approval of PokerStars would help the state’s online-poker industry reach critical player mass, and thus result in a boon to all corporate players in the state. It seems clear, however, that existing New Jersey and other US-based casino companies don’t want to find out. After all, if Stars is approved in New Jersey, it would become that much harder for the giants of the potential US market — California for instance — to block Stars attempts at approval there. A check into political contributions made to Dancer and Caputo in recent years shows that Dancer is heavily supported by several New Jersey horseracing associations, tracks and breeders, while Caputo has received donations from that sector as well. The state’s horseracing industry battled against New Jersey’s online-gambling plans until receiving protections within the bill as ultimately passed, and one possible explanation could be that the state’s parimutuel interests fear a revenue reduction should the state’s new online-poker offerings prove overly successful. That pari-mutuel wagering and other forms of gambling draw largely exclusive audiences has had little impact on that industry’s reticence towards those other gaming forms. Whatever the source, it’s clear that PokerStars still has hurdles to face. 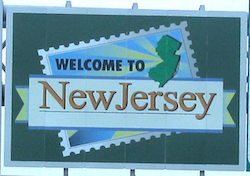 Should the Amaya-owned PokerStars ultimately fail to win New Jersey approval, the company’s long-term plans regarding the United States would be endangered.